The jacks brought their t5.1 “maggie” to Big Blue Sky Campers for a full conversion. 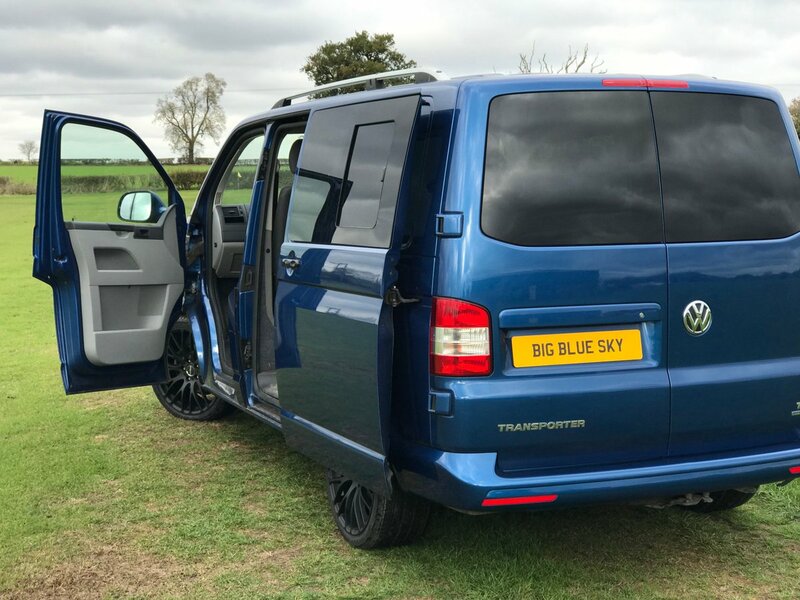 When Neil and Karen brought their Volkswagen Transporter T5.1 to the team at Big Blue Sky Campers their brief was a full camper van conversion with plenty of storage. Based upon our Coral conversion, our client chose a Reimo Easyfit roof and went for a beautiful Denim Blue and Stone Grey Superva lightweight ply kitchenette with a non slip Altro floor in co-ordinating Biscuit finish. A Webasto diesel heater, fitted under the chassis for a quieter camping experience, will make their wild camping trips nice and cosy.